"Imagine the possibility of your life being over, before it has even begun”. This is the real-life battle Michaela Kleynhans is fighting at the moment. Instead of planning her upcoming 21st birthday on 3 February, she is staying positive that this will not be her last. Michaela was first diagnosed with melanoma cancer, at the age of 17. At the time, the melanoma and her lymph nodes were removed at a state hospital, to prevent cancer from spreading. As 2019 started and Michaela prepared to study teaching at Unisa, she went for a check-up. The cancer was back: stage 4 melanoma cancer, which has spread to her lungs. The light at the end of this devastating cancer tunnel is immunotherapy that can cure cancer and save Michaela’s life. However, this new immunotherapy has only recently been approved and is not covered by medical aid, yet. At a cost of R94 000,00 a month for the next two years, the cost of the cure is way more than her family can afford. That’s why her sister, Megan, wrote to Good Morning Angels, to help us make the miracle of life come true for Michaela. SPONSORING: Gerhard and Rayno, both cancer survivors, held their 3rd annual “Survivors” Golf Day in November last year. From the proceeds of the golf day, they will sponsor a month of Michaela's immunotherapy - totalling R 94 000,00. I am writing on behalf of my younger sister, Michaela Kleynhans. Imagine the possibility of your life is over before it has even begun. This is the unimaginable reality which Michaela Kleynhans faces. 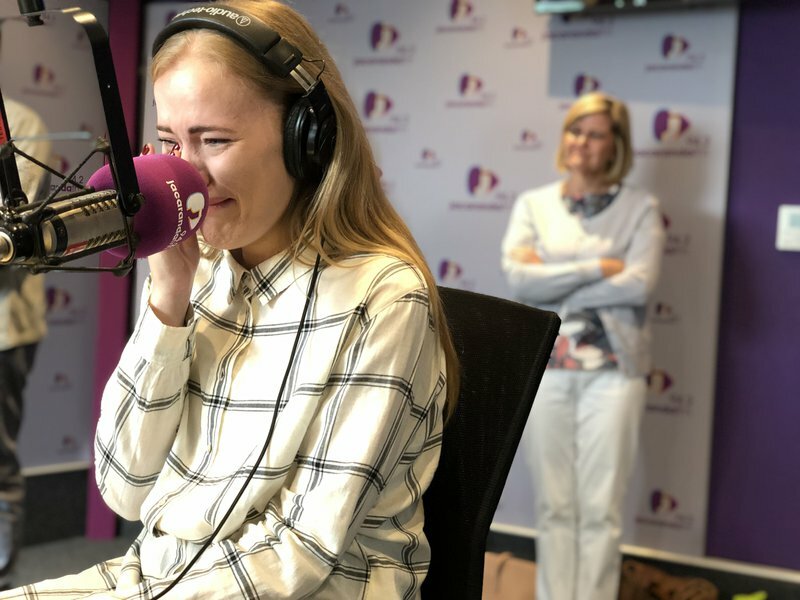 In 2015, at the age of 17, Michaela was diagnosed with melanoma cancer and sought treatment at Steve Biko Academic Hospital. The melanoma, as well as her lymph nodes, were removed in an effort to prevent cancer from spreading. Despite their best efforts, cancer had spread to her lungs and Michaela was diagnosed with stage 4 melanoma cancer in January 2019. All of this before Michaela’s 21st birthday on the 3rd of February. The type of cancer with which Michaela has been diagnosed with is the most uncommon, yet the deadliest type of skin cancer and the only available treatment suited for her is immunotherapy, the funding of which is not covered by any medical aid. The medication which Michaela requires was only approved in 2018 and hence it is very expensive, approximately R94,000 per month. With this new medication, Michaela can/will be totally healed. Unfortunately, my family has been financially exhausted and are unable to further afford her treatment. Without the medication, Michaela will not make it. Despite her diagnosis, she has blossomed into a passionate and energetic person. Her kindness, pure heart, and positivity have added meaning to the lives of those around her. She has an immense passion for children and has big aspirations to become a teacher one day. Please help us save Michaela’s life so that she may fulfill her passion. Please help us give Michaela her miracle.